Hi, I am Louise co founder of SGC with Trace. I am a stay at home mum to my 4 lovely children, 3 boys and 1 girl. I live on a lifestyle block in rural Hawkes Bay, New Zealand. I am a total country girl having grown up on a large dry-stock Station. I started scrapbooking back in 2005 when my oldest son was born. I love doing layouts of my kids as it not only provides a lovely album with awesome memories, it is also a great time out and therapy for me doing something I love, and with 4 kids to look after I am sure I deserve that ;) I also enjoy project life, art journalling, cardmaking and smashbooking. If it has pretty paper, inks and embellishments I'll try it. "Hi my name is Brenda and I live in the winterless north just out of Whangarei. I am married with 2 adult sons, 3 cats, 2 dogs and a HUGE garden. I work in horticulture, presently with export cymbidium orchids. From a very early age my mother and grandmother taught me to knit, sew, crochet, cook, and garden. I have always liked making things. Only since my big OE in 2010 have I got into scrapbooking in a BIG way. I enjoy experimenting, and find my style is still evolving, presently I am enjoying mixed media, where I can include my knowledge in other crafts. I hope you all can be inspired by my work as I too will admire and learn from yours." Hi I am Carolyn and I’m a Professional woman married to my high school sweetheart for 43 years. We have 2 grown children and 3 grandchildren that we don’t see nearly enough. It was their births that started me scrapbooking and the rest is history. I've loved creating, no matter what the medium. They used to call me when I was a young girl “Idea Carolyn” because I was always coming up with something! I still find myself trying new things and exploring the possibilities. It’s what keeps your mind active and makes you feel young and alive! And is so satisfying! Every day that I’m scrapping is a day I have a smile on my face. I especially love card making because it’s like creating a mini-masterpiece all inside an envelope. I'm Danice (pronounced Denise) I have been scrapping for over 5 years, I started out not liking stickers, and I haven't changed. Grew up all over NZ including a few years in Brisbane, home for me will always be Whitianga where my family still farm. I became one of the first Fiskars Demonstrators while I lived in Auckland and regularly featured in Up2Scrap/Paperchase magazine, Did a quick stint on the Little Shop of Sketches DT and now along with the odd layout I do Project Life which gives me a great excuse for keeping all sorts of "things" which would otherwise clog up my handbag. I moved from Auckland to Greymouth in 2010 and got my Diploma in Digital Photography, and have a wee studio in Greymouth where I attempt to create portraiture masterpieces! I love scrapbooking because I like pretty things and my style comes down to whats on my desk at any given time. I like pink and flowers and washi tape and refuse to admit I have any addiction to anything craft related whatsoever. My name is Karen and I have been crafting all my life ( my mother always has a project on the go) so I have dabbled in lots of different crafts. I have done a lot of mosaics, cross-stitch, painting, knitting, and about 18 months ago my aunty introduced me to the world of scrapbooking. I have really been enjoying playing in this craft *coughaddictedcough* and although I am yet to settle into one style I am finding I like to use flowers a lot. Mind you that seems to be a theme for me as a lot of my mosaic projects ended up with flowers somewhere on them. I have been married for nearly 20 years to my lovely hubby and together we have 6 children (4 girls and 2 boys), although our oldest has left for university, so only 5 at home. They range in age from 2-19 years and often feature in my layouts. Often my projects are done late at night when Mr 'fiddlefingers" 2 is in bed, otherwise they would be carted all over the house. I have less time for Scrapbooking than I would like, but I enjoy the crazy chaos of my home. I remind my self often that they will grow up and leave home and then I can play to my hearts content. I have been playing along at Southern Girls and am delighted to now be part of their team. I look forward to bringing a little bit of my creativity along to share with you all. I was introduced to scrapbooking late in the 1990s through a chance encounter with a magazine in a dentists waiting room! My interest was piqued, and I had finally found a hobby that encompassed all the things i loved......creating arty farty things, family stories and photography! I enjoy making albumns that feature my family of four kids, and a very understanding hubby of 28 years! I love that I can tell the stories of our adventures in a creative way. I also have a penchant for creating layouts of our ancestors. I think it's important to get those photos out of the shoe boxes in the cupboard, and tell the stories of those people before their stories are forgotten. Home for me right now is on our 760 cow dairy farm in New Zealand, where we live and work. We are so very very lucky to live in paradise!!!!!!! I have been a scrap tutor for many years, teaching regular classes is something I am very passionate about. I look forward to my term, with southern girls challenge.......see you in the challenges!!!!! HI, Tracy here, and I am thrilled to bits to be welcoming such a fabulous group of talented ladies onto the Design Team here at Southern girls which I co-run with Lou. I reside in Taranaki, where most days apart from working full time you will find me in my craft room working on one project or another. I am married to a very understanding man (when tea is sometimes late), and have two beautiful daughters Cameron 14 and Bailee 10, who also share my love of all things crafty. I am mainly a card maker, but have recently been enjoying Project Life, scrapbooking and even started a Smashbook! I hope I am able to continue to inspire and encourage Southern Girls participants with the projects I will be sharing. 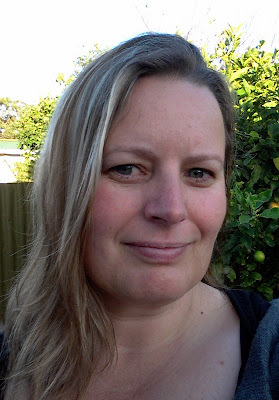 My name is Viv and I live in Hawera, in beautiful New Zealand, close to a snowy mountain and the west coast beaches. I live with my partner of 20 years and our 2 poodles ,1 golden retriever , a ginger cat, 6 motorbikes (his!) and our VW Kombi. I work 3 days a week as a pharmacist, and the rest of the time I train my dogs in agility, make cards, read, cook, walk dogs , brush dogs, clip dogs, make more cards........ notice any themes here?!!!! I like to use copics mainly with some pencil colouring too, now that I have a large set of polychromos to play with. I have a dedicated room for all my stash, and my dogs all join me in there while I'm playing, gets a bit crowded sometimes but I love their company. Hello I am Shell, I work full time as a Driver for the Kenaitze Indian Tribe with the Elders, Married 34 yrs come September with 2 grown sons that I'm extremely proud of. Only Furry kids at home, they are my 3 pure bred Australian Shepherds (well one is my son's….she's here most of the time tho)& 1 Tabby cat that thinks she's a dog. I've lived in Alaska for over 20 yrs now and don't regret moving here! Hi, I'm Fiona Darwent, 47yrs of age and live in Whangarei, area of 100 beaches!! live with fab builder hubby and have 3 boys, 9,13,16. I started scrapping 4 yrs ago and haven't looked back! Love making layouts for each of the boys albums, and the family one too! This year is the first time to actually create for myself , previously i had a home based scrap store and ran classes, fun but demanding also. So now its time to really play! Let the fun begin!! Hi my name is Jenny and I live with my partner and 2 children (aged 17 and 20) in Melbourne Victoria. I have always loved craft and have tried my hand at many different types. Then I discovered Copic markers - my biggest passion! I just love to colour in. I am a certified Copic designer having completed the standard and intermediate levels. I teach card making and Copic colouring classes and I am always on the look out for a new stamp or digital image that is good to colour. I work three days a week which makes me appreciate 'my time' even more. You will often find me at my desk in the study trying to find the tape and the scissors under a pile of paper and cardstock. I am super excited and honored to be a member of Southern Girls DT. I can't wait to see what is in store for us! I have been a crafter of some description all my life, but card making has been my passion for the past two years. I love nothing better than sitting down with my girls; Caitlin and Amelia; and being creative. Mind you they both know not to touch mummy's stash so they also have their own stash of crafting goodies! I work full time for a charity that supports the homeless in Canberra, Australia so this is also my little bit of stress relief, and cheaper than therapy - just! Hi, I’m Chris. I live in SE England with my husband of many years and my Great Dane, Mathilda. I am a mother of two grown children and the besotted grandmother of two gorgeous little girls. I am now retired, although I do look after my grandaughters two days a week while my daughter, a teacher, works. This leaves me plenty of spare time to indulge in my favourite pastimes : card making, scrapbooking and reading (not to mention drinking coffee – and nattering with friends! ).